Sundays are for pancakes! My favourite breakfast for sure. So this month’s recipe is for heart shaped American pancakes (did anyone made my guilt free blueberry muffins from last month’s recipe?). I try to keep up with a 30/70 healthy lifestyle so I always replace some ingredients from a recipe to make it more clean. But of course you can use the usual stuff to make these as well. It’s really up to you! Sift the flour, baking powder, salt and sugar into a bowl. Create a hole in the middle of the bowl and pour in the milk, the egg and the melted butter and mix until you have a smooth batter. Heat a pan over a medium heat and add some oil. Add some batter and wait until the top of the pancake begins to bubble, then turn it over and wait until both sides are golden brown. 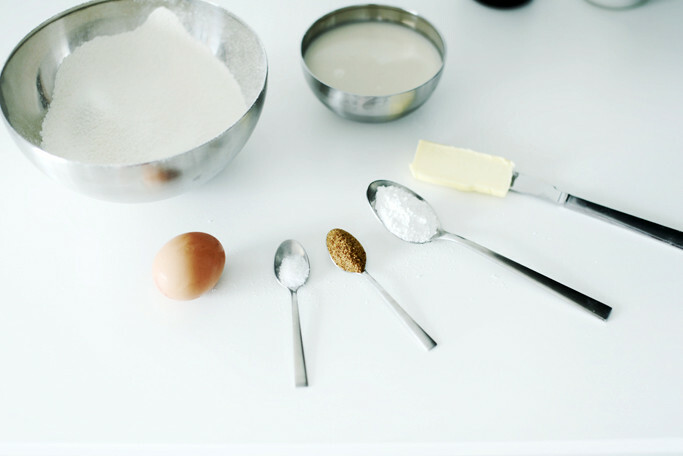 Repeat until the batter is used up. So how do you get the pancakes heart shaped? Like showed above on the third photo I’ve used a heart shaped cake tin that I picked up in the grocery store. You just use the shape of the cake tin (of course not the bottom), putt it in the pan (after you oiled it in). Pour the batter in to the shape and wait until it begins to bubble. Then gently remove the cake tin (make sure you use an oven glove or something because the tin gets warm as well!) and flip the pancake over. And there you have it! 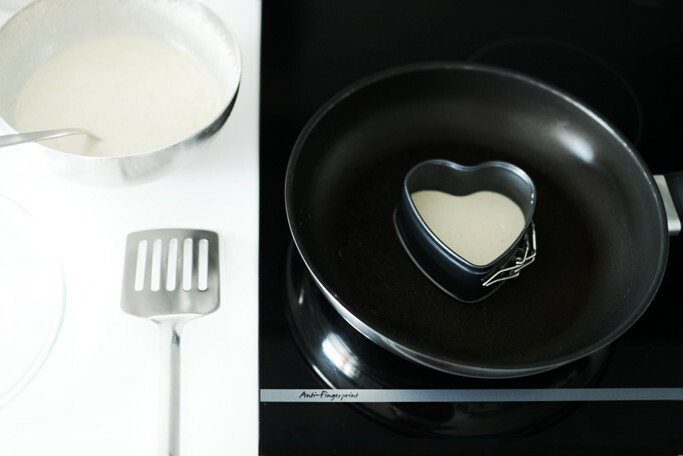 A heart shaped pancake. ENJOY!! So cute! I need that tin! Look delicious, thanks for share the recipe! YUMMY! Dat ziet er heerlijk uit! Thanks for sharing! Love the heart shape! I made pancakes today too – vegan dark chocolate and banana ones. 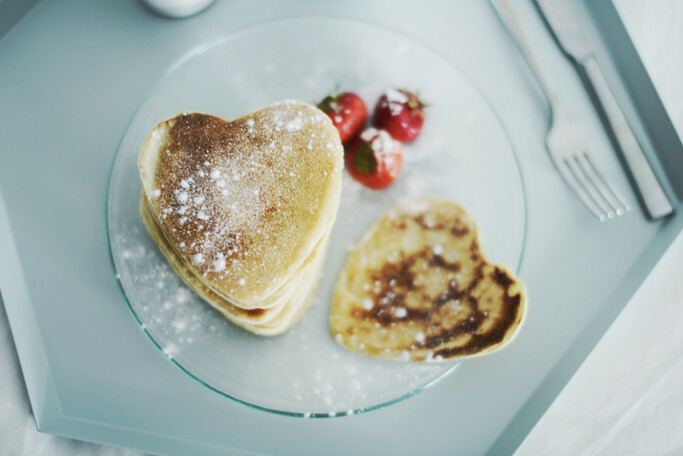 Love pancakes, the heart ones at so cute! Ahw what a cute way to start your day. Love pancakes! And these heart shaped ones are too cute! hmmmm, ziet er echt heeeeeerlijkk uit!! !